Easy to assemble, and comes with a snack tray for the older sibling. and a second tray to add on if you decide to keep the bar attached once you are done using the car seat with the stroller. Will only work with one car seat at a time (can not fit two car seats on one stroller). Also, the BOB weather shield can not be used while the car seat adapter is in use. Join in and write your own page! It's easy to do. How? 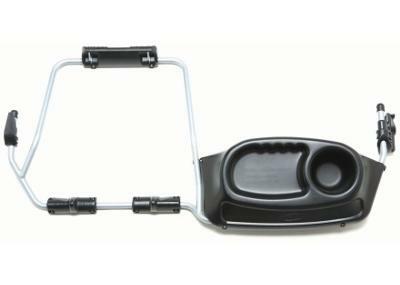 Simply click here to return to Jogging Stroller Accessories.